At Wequiock Elementary school in Green Bay, students get to explore the forest. GREEN BAY, Wis. — At Wequiock Elementary school in Green Bay, students get to explore the forest. "Explore the nature, and the environment around us," says 2nd grader Aliya Kozlowski. Students are learning the study of trees, plants, and climate change. 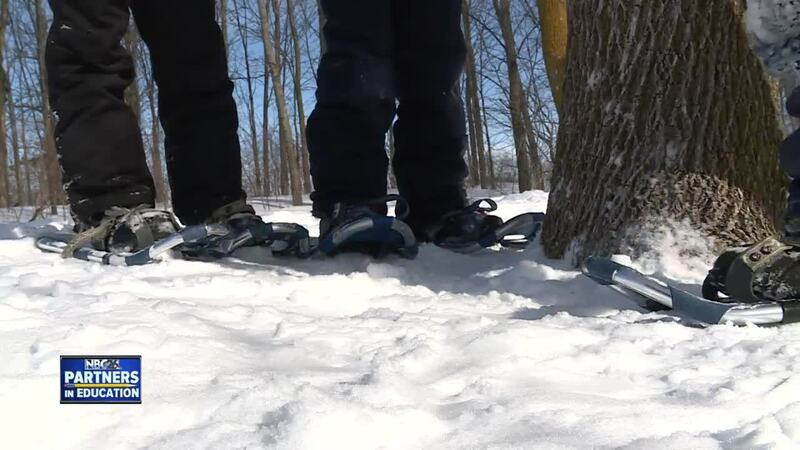 "You put your snowshoe in, and you strap it in the back, and then it helps you from not falling, sinking so far in," said Conor Smith, another 2nd grader. Teacher Jennifer Beno said students picked a tree in the school forest to study. "We journal about the tree, we watch for changes, try to look for evidence try to see which animals are using our trees," says Beno. With this lesson, students are burning some energy, and learning with a little help from nature.